Berlin – a magical and energetic city in the heart of Europe. In this edition of our magazine you’ll get to know more background information about this wonderful late-night jewelry. 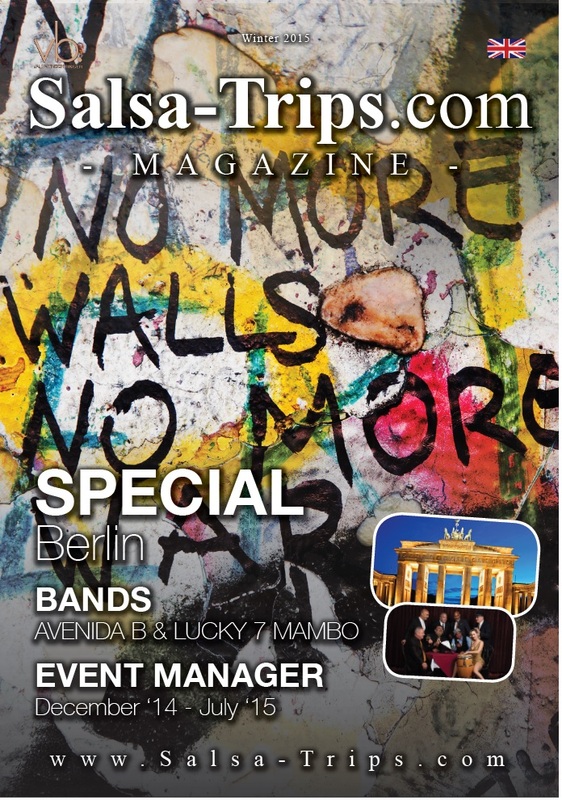 Further you can read about the Bands Lucky 7 Mambo as well as the classic salsa Dura band Avenida B. You may recognize ads from some of our partners. We started to build a broad distribution of the magazine besides the festivals and major events. Interested? Then you may become our partner for your city and neighborhoods.